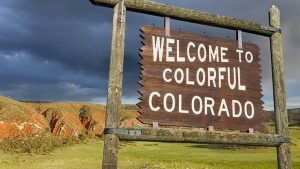 A southern Colorado marijuana grow facility did not hurt the property values of a neighboring couple, a jury in Denver decided Wednesday, ending a closely watched lawsuit that had hung like a dark cloud over the state’s cannabis industry. If the lawsuit had been successful, it could have created a blueprint for opponents of marijuana legalization to dismantle the industry through civil cases brought under federal anti-racketeering laws. The Racketeer Influenced and Corrupt Organizations Act, better known as the RICO act, allows plaintiffs to collect three times the amount of damages that jurors find plus attorneys’ fees, meaning that marijuana businesses — which are illegal under federal law and, thus, in violation of RICO — could be on the hook for million-dollar payouts over simple property disputes. Instead, jurors deliberated for about half a day before reaching a verdict in favor of the facility, which sits about 2 miles east of Interstate 25 near the town of Colorado City. “They found that we were not responsible for any of the alleged damages,” said attorney Matthew Buck, who represented the grow and its owner, Parker Walton. “A loss in this case would have meant the loss of his business,” Buck said. The lawsuit was brought by Michael P. and Phillis Windy Hope Reilly, who own and live on land adjacent to the grow facility. They said the grow damaged their property values because of noise and odor, because it harmed their views, and because no one wants to live near illegal activity. The Reillys were represented by a Washington, D.C.-based law firm with ties to U.S. Attorney General Jeff Sessions. An anti-drug organization called Safe Streets Alliance had also originally been a plaintiff in the case, but it was dismissed during the litigation. The Reillys declined to comment as they left the courthouse Wednesday. University of Denver law professor Sam Kamin, an expert on cannabis law, said the verdict is a cautious victory for Colorado’s marijuana industry. Had the Reillys prevailed, it could have created incentives for plaintiffs and lawyers to bring many more RICO cases against marijuana businesses — something a Safe Streets attorney had suggested was the plan. There have been similar RICO cases filed in Oregon and Massachusetts, though neither has yet been successful. Buck had argued during trial that the grow didn’t cause any odor — its odor-control system doesn’t vent outdoors, he said — and that the Reillys’ property value had actually increased. Since the lawsuit was filed in 2015, the Reillys have moved onto the property and acquired an additional lot in the subdivision. Now, Buck said he hopes defense attorneys can use his case as their own blueprint for defending the industry. “Proving damages is almost impossible in cases like these in a state like Colorado, where property values are skyrocketing,” he said.